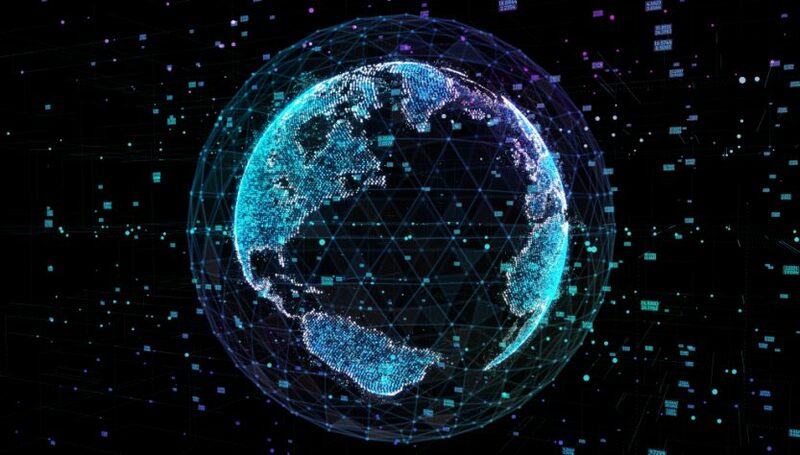 Small satellite IoT (Internet of Things) company Sky and Space Global (SAS) announced in March it generated its first revenues . It expects to make around $770,000 over the coming year from its current customer base, with more to come through “binding contracts” in the second half of 2018. SAS (https://www.skyandspace.global/) currently has three small pathfinder 3U cubesats in low earth orbit around the equator. The three “Diamonds” satellites deliver IoT and M2M (machine to machine) services, along with a basic store-and-forward data capability. Low-bandwidth Voice over IP (VoIP) and text message capability is also available, using one or more Diamonds as a real-time relay between distant points on the earth, with each satellite capable of being a router to extend the potential relay distance. SAS plans to have 200 cubesats in orbit by 2020, with an initial four launches conducted by Virgin Orbit starting in 2019. IoT and narrowband VoIP services will be provided to a belt around the equator to countries in Africa, Asia, and Latin America. IoT service will be available between 18 degrees North latitude to 18 degrees South latitude, while VoIP service will be available between 15 degrees North and 15 degrees South. The company is waiting on the first test of Virgin Orbit (http://www.virginorbit.com) LauncherOne air-launched system before it announces how many cubesats it will put up per launch, but it is easy to imagine at least dozen or more satellites carried into orbit on each vehicle. LauncherOne is carried to 35,000 feet onboard a Boeing 747 before it is released and fires its liquid-fueled engine to travel to space. Service pricing for the SAS “Pearl” 200 satellite data and voice constellation will be based on usage, offering options for flat rate or per kilobyte plans. Connections to the network will take place through a hotspot-style gateway about the size of a thick tablet with a targeted end-user price of around $150. The gateway uses WiFi to connect local devices to the hotspot, routing packets to the constellation through an S-band radio connection to overhead satellites. As more satellites in the constellation go into orbit, the ability to conduct VoIP calls between any two points in the service area at any given time increases, with the full 200-satellite gateway essentially providing 24-hour availability. SAS is a unique business entity. The company was founded by a pair of retired Israeli Air Force (IAF) veterans, is registered and headquartered in the United Kingdom, and raises money on the Australian stock market. Four rounds of stock offerings have generated in the neighborhood of $28 million dollars. Completion of the entire constellation is expected to require a total of $150 million. Expansion of SAS service to additional areas, such as the continental United States, would require more satellites in different orbits. Funding for expansion across the globe would be funded through cash flow and based on customer demand, according to a company official. But SAS is going to have plenty of competition. At least a dozen start-up companies are planning to launch large numbers of small satellites to deliver low-cost IoT services around the world, such as Blink Astro (http://blinkastro.com/), Fleet (http://www.fleet.space/) Hiber Global (https://hiber.global/), and Kepler Communications (kepler.space). Larger, more established satellite companies, such as Iridium (www.iridium.com) and Eutelsat, are either partnering with start-ups or planning to test cubesats to complement existing fleets and services.